The Heaven Can Wait 5K walk/run sponsored by St. Charles Medical Center has been held annually since 2000 on National Cancer Survivor’s Day, the first Sunday in June. This race is one of the largest in Central Oregon, attracting thousands of participants. The event benefits Sarah’s Project, which provides support services for breast cancer patients. In 2014 Assistance League of Bend was invited to be a participating vendor by offering our free chemo hats. Our long term Hats, Hats, Hats program has supplied thousands of hats to St. Charles and Bend Memorial Clinic infusion centers. In 2017 we began to offer Knitted Knockers (soft knitted and crocheted breast prosthetics) at Heaven Can Wait, St. Charles, and Bend Memorial Clinic. We have also happily provided knockers to many individuals throughout Central Oregon after they contacted Assistance League of Bend on their own. The Bend Christmas Parade is organized and run by a volunteer group of dedicated citizens. Before 1992, the parade was planned and organized by the Bend Parks and Recreation but it was decided after the 1991 parade that they would no longer sponsor the parade. A meeting was called and a number of Bend residents decided to take on the responsibility which they have continued to do for the past 21 years. The parade is one of the largest holiday parades in the state. 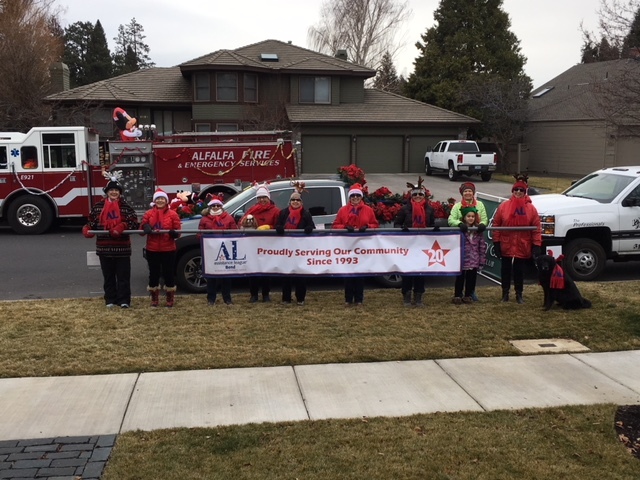 Assistance League of Bend has been participating in the parade since 2016. “Legacy of Literacy” has its origins in Make A Difference Day. 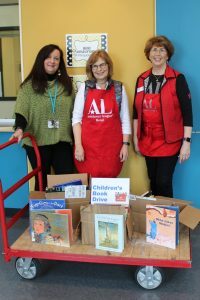 Assistance League of Bend, along with over 100 chapters nationwide, collected and delivered books to organizations serving children, such as Boys and Girls Clubs. In the four years that Assistance League of Bend participated, our members collected over 2200 children’s books and delivered them to the Boys and Girls Club of Bend and REACH (formerly the Boys and Girls Club of Redmond). In 2018, National Assistance League created Legacy of Literacy, a literacy-focused event allowing chapters more flexibility to meet the needs of their communities. Assistance League of Bend has chosen to collect books for young children. The recently opened Redmond Early Learning Center (RELC) was selected as the local Legacy of Literacy beneficiary. The RELC, which houses Redmond School District’s pre-kindergarten and kindergarten, needed books for its new library and was thrilled to be part of our book drive. During our Winter 2018 Literacy of Learning, Assistance League of Bend collected 260 books. 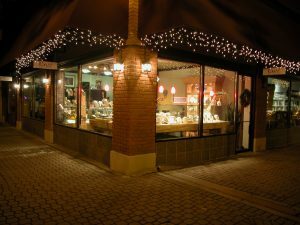 Pavé Fine Jewelry hosts an Assistance League of Bend night during First Friday Art Walk in downtown Bend each summer to raise funds for Operation School Bell®. They generously donate a percentage of sales for the evening and hold a raffle to help clothe children in our community. In addition, the owner makes and donates homemade smoked salmon for Assistance League to sell during the Art Walk. This annual event not only provides financial support for our philanthropic programs; it also increases public awareness of Assistance League of Bend. 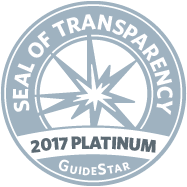 The Ghost Tree Invitational is a two day event at Pronghorn Resort in Bend featuring a golf tournament, silent auction, dinner and dancing. 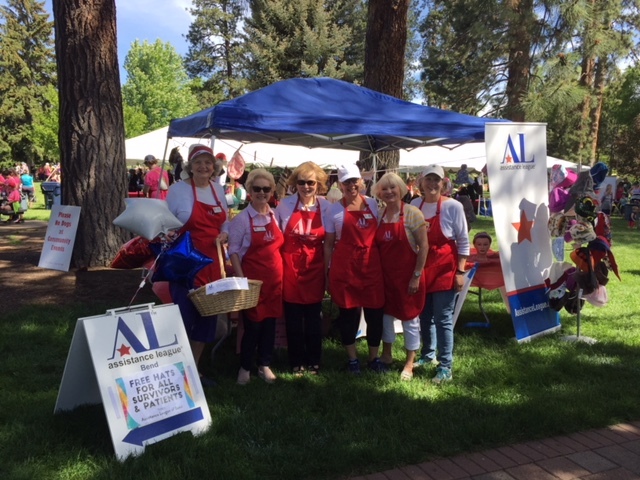 Assistance League of Bend assists this community event by providing volunteers on an as-needed basis for the golf tournament, dinner set-up and the silent auction. Assistance League of Bend has been a beneficiary for over ten years.